1) The salt of the earth and the light of the world is Jesus and we with Him. In this Sunday’s Gospel Christ says to his disciples of all time: “You are the salt of the earth … You are the light of the world” (Mt 5, 13 and 14). With these words Jesus does not invite us to strive to become salt and light, but reveals to us what we are. He does not tell us what we must do, he reminds us of what we are already: salt and light. Of course, after the being comes the action and, therefore, we must become aware that we are like the salt that preserves and gives flavor. We have the task of giving new “flavor” to the world and to preserve it from corruption in the same way the light illuminates giving security and heat. We can do it with the wisdom of God that fully shines on the face of the Son because He is the “true light that enlightens every man” (Jn 1,9). 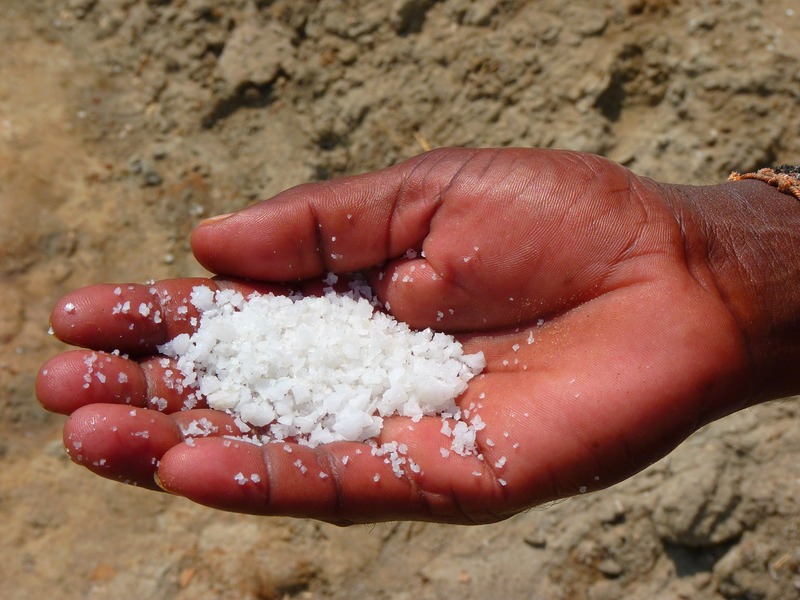 In saying: “You are the salt of the earth” Jesus tells us that the human nature, corrupted by sin, has become tasteless but, through our ministry of witness, the grace of the Holy Spirit will regenerate and preserve the world. For this reason the Savior teaches us the virtues of the Beatitudes that are the most necessary, the most effective for us who want to be like him. Those who are meek, humble, merciful, and just do not keep inside the good works that they have done, but take care that these works are sources for the good of others. Those who have a pure heart, those who are peacemakers, and those suffering persecution for the truth are the ones who devote their life to the good of all. If we dissolve like salt, we give flavor to the life of the world and build a culture of life and a civilization of love. In saying: “You are the light of the world,” Christ teaches us that we, united with him, can spread, in the midst of the darkness of indifference and selfishness ,the light of love of God, true wisdom that gives meaning to the existence and the acting of men. To the teaching that we are light Jesus immediately adds these words: “A city set on a mountain cannot be hidden. Nor do they light a lamp and then put it under a bushel basket; it is set on a lampstand, where it gives light to all in the house. Just so, your light must shine before others, that they may see your good deeds and glorify your heavenly Father.” (Mt 5, 15-16). If it is true that in the friendly light of the Christians all men find Christ, light of life and perfect truth, it is also true that we are light not so much with doctrine or words but above all with the works that our light shines in world. To do this we need no particular skills, we need to “preach” by our works. There would not be unbelievers, if we were Christians as we should. For those, however, who are called to preach with words, a law is required: to put into practice what they preach to others. It is inevitable that the preaching is not accepted when it is not followed by the example. St. John Chrysostom said: “The pupils observe the conduct of the masters and, if they see that they too are subject to the same defects, or even worse, how could they admire Christianity?” And he added: “When I seek in you the signs to recognize you as a Christian, I find quite opposite signs. If I wanted to judge who you are from the places you go, the corrupt people with whom you are, the words that are not serious and useful, I would say that nothing remains for me to recognize you as a Christian.” Rightly, St. Francis de Sales asked: “What difference exists between the Gospel and the life of a saint?” Then he answered “It is the same difference that there is between a symphony written, and a symphony performed”. It is so: in the life of a saint, or at least in that of a fervent Christian, we learn how to put into practice the Gospel. We all, in addition, must strive to be this “symphony performed” for all the brothers and the sisters that we meet on our way. We are called to be salt of the earth and light of the world doing good works. At this point you may be wondering of which good works Jesus speaks in today’s Gospel. For good works we must only think of the works of mercy that must never be lacking, but also of all the individual virtues. To be concrete, I will recall briefly which are the virtues and which the capital vices. First of all, the theological virtues: faith, hope and charity, and the cardinal: justice, prudence, fortitude and temperance. But we must not ignore the virtues that are found in the Beatitudes: patience, purity, humility, meekness, simplicity and poverty of spirit. It is worth mentioning the capital vices, which are seven: pride, sloth, lust, anger, gluttony, envy and avarice. Every time we let us be taken by these vices, we give a counter-witness and drive away our neighbor from the Truth. If, on the contrary, we will practice the virtues and we will do good works, we will be the light that illuminates and the salt that gives flavor. The important thing is that we do not stop at the surface of ourselves, but we go to the secret cell of our heart, where are a handful of salt and a spark of light. By living according to the Gospel let that spark turn on the lamp and our light shine in our good works. Let’s do this with humility, knowing that the salt of the earth and the light of the world is Jesus. We will be light and salt if – thanks to a good life – we will talk about Him and as little as possible about ourselves. 3) The consecrated Virgins in the world: women of works of light. In Christ our good works are works of light. They are the works made by the poor, the pure and the meek. When, as a rule of life, we live the commandment of love, then we are salt and light to those we meet. In any place where there is love and the charity in truth is lived, there is poured the salt that gives good flavor to life. Where there is love for Christ and a life of communion, there is the light that dispels all the darkness and a lamp to light the steps of many. Love is the “the salt of the earth and the light of the world”. It is love that gives savor and light to life. Love is the heart of wisdom and the way of the joy of the Gospel. It is love that calls us to share in order to be and to testify. The love of God is comparable to the salt and the light, and so we must take care of it. An example of how this love should be cultivated comes from the consecrated virgins in the world. St. Augustine said: “Falling in love with God is the greatest love story; looking for it is the greatest adventure; finding it is the highest human achievement “, sharing it is the mission of those who have consecrated themselves to this love. By their consecrated and chaste lives, these women humbly testify that Christ’s love is an integral part of life and that is comparable to salt and light. In Christ, their lives are interwoven with light; light of faith that illuminates the heart and enlightens the mind, light of love that warms and is fruitful. With their lives offered daily, they are lamps that make the light of Christ shine in the world. These consecrated women not only carry the lamp of the prudent virgins, but they are the lamps burning, namely vigilant, that have the oil of fidelity in love and perseverance in good works. With humble courage these women have accepted the call that God has made to them. In his omnipotence and tenderness, God calls you to be holy in virginity lived in the world. It would be foolish to boast for such a call, but it is a sign of responsibility to welcome it, testifying that it is possible already on this earth to live a life woven with light. 1017 17. “Ye are the light54 of the world.” In the same way as He said above, “the salt of the earth,” So now He says, “the light of the world. “For in the former case that earth is not to be understood which we tread with our bodily feet, but the men who dwell upon the earth, or even the sinners, for the preserving of whom and for the extinguishing of whose corruptions the Lord sent the apostolic salt. And here, by the world must be understood not the heavens and the earth, but the men who are in the world or love the world, for the enlightening of whom the apostles were sent.55 “A city that is set on56 an hill cannot be hid,” i.e. [a city] founded upon great and distinguished righteousness, which is also the meaning of the mountain itself on which our Lord is discoursing. “Neither do men light a candle57 and put it under a bushel measure.”58 What view are we to take? That the expression “under a bushel measure” is so used that only the concealment of the candle is to be understood, as if He were saying, No one lights a candle and conceals it? Or does the bushel measure also mean something, so that to place a candle under a bushel is this, to place the comforts of the body higher than the preaching of the truth; so that one does not preach the truth so long as he is afraid of suffering any annoyance in corporeal and temporal things? And it is well said a bushel measure, whether on account of the recompense of measure, for each one receives the things done in his body,—“that everyone,” says the apostle, “may there receive59 the things done in his body;” and it is said in another place, as if of this bushel measure of the body, “For with what measure ye mete, it shall be measured to you again: “60 —or because temporal good things, which are carried to completion in the body, are both begun and come to an end in a certain definite number of days, which is perhaps meant by the “bushel measure;” while eternal and spiritual things are confined within no such limit, “for God giveth not the Spirit by measure.”61 Every one, therefore, who obscures and covers up the light of good doctrine by means of temporal comforts, places his candle under a bushel measure. “But on a candlestick.”62 Now it is placed on a candlestick by him who subordinates his body to the service of God, so that the preaching of the truth is the higher, and the serving of the body the lower; yet by means even of the service of the body the doctrine shines more conspicuously, inasmuch as it is insinuated into those who learn by means of bodily functions, i.e. by means of the voice and tongue, and the other movements of the body in good works. The apostle therefore puts his candle on a candlestick, when he says, “So fight I, not as one that beateth63 the air; but I keep under my body, and bring it into subjection, lest that by any means, when I preach to others, I myself should be found a castaway.”64 When He says, however, “that it may give light to all who are in the house,” I am of opinion that it is the abode of men which is called a house, i.e. the world itself, on account of what He says before, “Ye are the light of the world;” or if any one chooses to understand the house as being the Church, this, too, is not out of place.